Your love for computing will be put to shame in front of this $51,590 room-scale processor built by James Newman. James is a digital electronic engineer who spent 4 years into developing this processor – the project stemmed from his curiosity to see how a computer works. He didn’t intend for the computer to reach such a huge size but what kicked off as a simple project for learning more about transistors soon transformed into this mega construction. 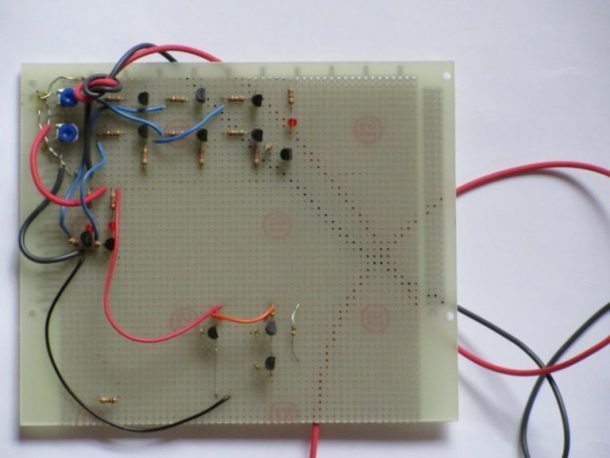 The first project he did was a simple circuit design that featured only a small number of transistors. The project was not able to sustain his interest for long and soon he moved on. This computer is 33-ft in width and about 6-ft high. It is basically a microprocessor that has been built on a large, very large scale. The project began back in 2012 and was completed on 22nd June, 2016. Similar to a regular processor, the unit is made up of thousands of transistors but instead of using small ones, the machine uses individual transistors that can be seen below. The processor features 256 bytes of RAM and a total of 40,000 transistors along with 10,000 LEDs and operates on 500W of electricity. Newman soldered about 300,000 joints and wired a total of 10km of cable for powering up the project. 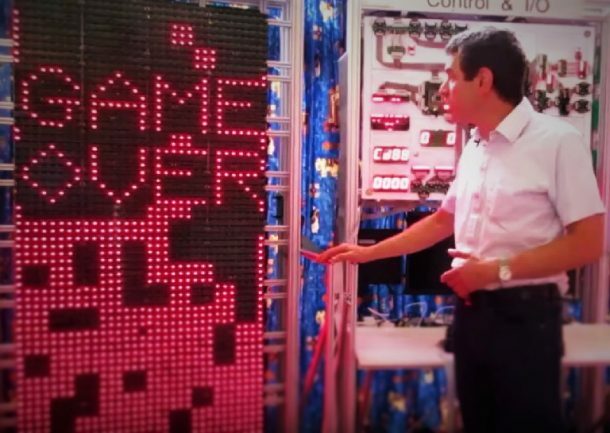 He said during an interview, “The Machine on your desk may be a million times better than what I have built – but mine is much prettier, mine has 10,000 times more LEDs.” The machine is capable of running Tetris and Newman is busy transforming the machine into an educational experience for everyone to enjoy.